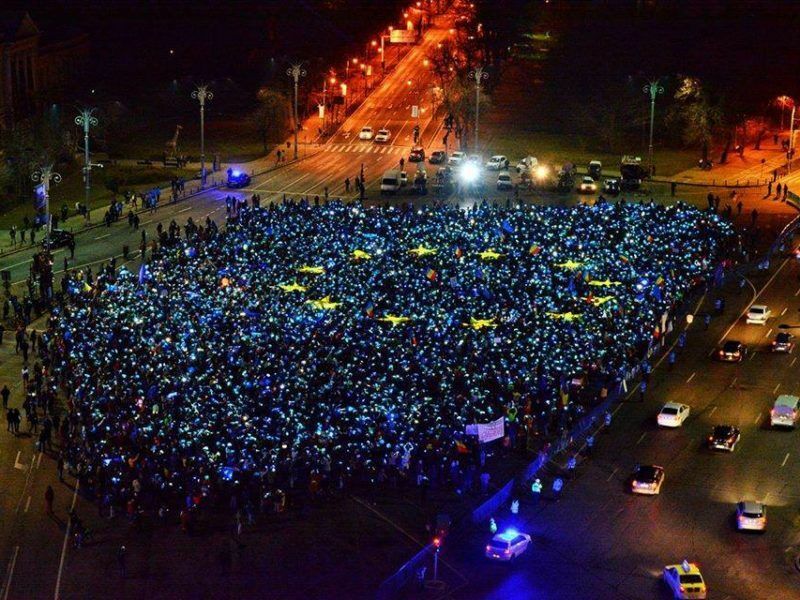 More than ten thousand Romanians demonstrated in Bucharest on Sunday (5 November) to “defend the independence of the judiciary” in protest against a government bill that critics say will weaken anti-corruption measures. The protesters gathered in front of the government headquarters in the capital and then marched to the parliament chanting “thieves”. Protests were also held in dozens of other cities across the country opposing the parliamentary bill that would reduce the powers of the anti-corruption prosecutor’s office (DNA) and prevent it from investigating magistrates. “I can not remain passive in the face of this attempt to undermine the independence of the judiciary,” 35-year-old doctor Oana told AFP. The bill would also mean the president could no longer name senior prosecutors. “This new reform worries me because its only goal is to defend corrupt leaders,” said another protester, Puica Marinea, 61. In January, the Social Democratic government tried to soften anti-corruption laws, only to backtrack under pressure after a series of huge protests, the largest since the end of communism in 1989. The European Commission has warned Romania that its bid to overhaul its justice system could undermine efforts to stamp out rampant corruption. 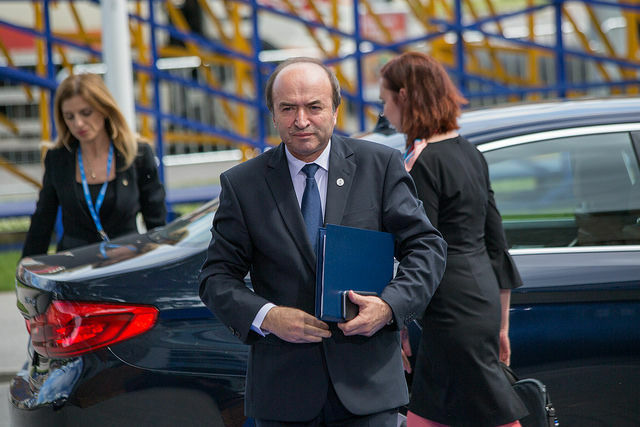 Romania’s bid to overhaul its justice system could undermine the country’s efforts to stamp out rampant corruption, the European Commission’s representative in Bucharest said Wednesday (30 August). 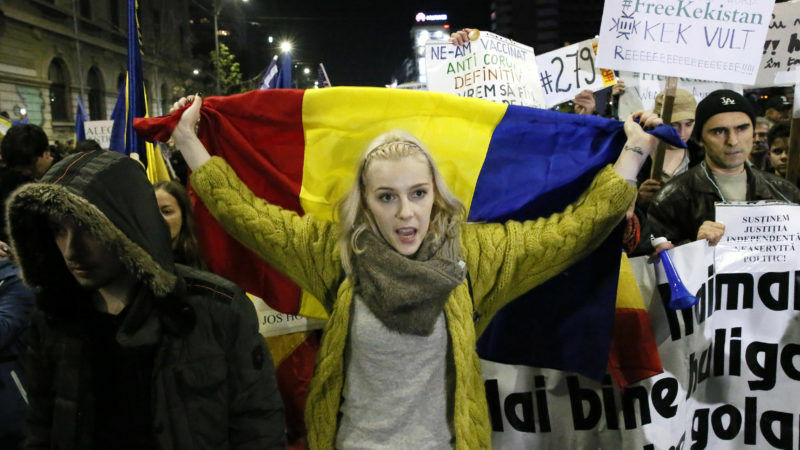 Romania joined the EU in 2007 and in recent years has been enjoying high growth rates, but both Brussels and the International Monetary Fund have pressed the government to do more to tackle graft. Romania will hold the rotating Presidency of the Council of the EU from 1 January 2017 and a landmark summit in Sibiu in May 2018 is expected to mark the legacy of the Juncker Commission. Don’t cry. The situation is mush worse in Poland and France. In Barcelona politicians flee to Brussels for refuge as most are imprisoned.